Most likely, if you’re building a custom home, you won’t be selling your home anytime soon. This shouldn’t be the case. You must have a plan for things in the long run. Your family could grow bigger, your plans could change, and other events may happen that could make drastic changes to your property. Just be sure that you future-proof your home. A lot of us want to have fancy bells and whistles in our home, but it isn’t always a good thing if you’re solely after the looks. Aesthetic appeal isn’t everything and you should keep it in mind. The overall looks and quality of your home would be huge factors when the time comes that you consider reselling your property. 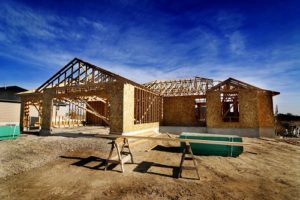 It’s not a bad thing to future-proof your home, but going the extra mile and building additional rooms that won’t be used for a while isn’t practical. Always make sure that you build just enough rooms that will be utilized by your entire family. After all, you can make room additions in the long run if you need. You can contact your local custom home builders then. While it is possible to make changes to your building plans in a matter of minutes, it isn’t quite the case when you’re in the actual construction phase. You should never rush the planning and designing process in the first place. You should always allot time into your designs. This way, you’ll avoid making drastic changes in the long term or within the construction phase. Want to build your own custom home? Contact Dawol Homes now!